The Days of Johann, an agility dog! : It's time for Crufts! 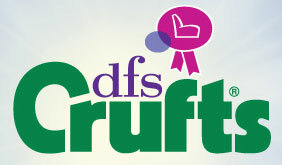 Crufts, the world’s greatest dog show, will be taking place from 10-13 March 2011 at the NEC, Birmingham. Officially recognized as the world’s largest dog show by the Guinness Book of Records, Crufts 2011 looks forward to expecting almost 23,000 dogs competing in confirmation, flyball, agility and more. USA Team have prepared a blog for updates. Saturday - Includes agility large international, flyball and more. Watch the main ring free live stream - free registration then click on the video to start the live broadcast. Follow Crufts on Facebook for live updates. Good luck to all those competing this weekend! We'll be sitting by our contemporary coffee tables watching a lot of the great agility, freestyle, flyball and more this weekend! And special good lucks to Daisy, Solar, Jeannie, Kicks, Celeste, Sparky, Dave and Buster! Can't wait to see some video! Notes: If we find any updates, we'll keep you posted here. UPDATE: CONGRATULATIONS TO DAISY PEEL & SOLAR! Daisy and Solar came in 3rd place in JWW, 1st place in Agility and 2nd place in the Finals! Find all the result here. Here's one of her vids (JWW, Agility & Final). And link to the JWW course, Agility course. We watching it at home!